Schedule an appointment to meet one-on-one with a SHIIP counselor to discuss your options. Our free & unbiased counseling service does not represent any insurance companies. We do not sell insurance, instead we help you sort out your options to help you make the best decision for YOU. If you suspect errors, fraud or abuse, report it immediately! 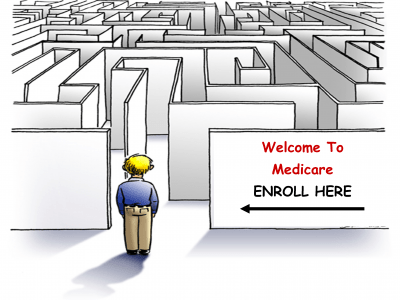 You can protect other people from becoming victims and help to save your Medicare benefits. If you have questions about information on your Medicare Summary Notice or Part D Explanation of Benefits, call your provider or plan. If you are not comfortable calling your provider or plan or you are not satisfied with the response you get, call the North Carolina Senior Medicare Patrol (NCSMP) program. All calls are confidential. Do you pay more than $8 for your prescriptions? You are SINGLE and your income is below $1,508 a month and you have less than $13,820 in resources. During this period, we help individuals who already have Medicare review Prescription Drug Plans (Part D) and Medicare Advantage Plans (Part C). For 2016, there are 22 Part D plans, and 7 Part C plans available to Union County residents. Each plan has different monthly premiums, copays, deductibles, and formularies. All these factors determine how much you pay for your prescriptions. During open enrollment in 2016, our staff and volunteers helped 578 Medicare beneficiaries review their plans saving those individuals $357,007! The Open Enrollment Period is October 15th to December 7th every year. If you are new to Medicare, you have a special enrollment period to enroll outside of the open enrollment period. Not be, or have an immediate family member who is, an active insurance salesperson. Have the ability to get along well with others. Have a sensitive and caring attitude. Have the willingness to learn and an ability to retain information relevant to health insurance provisions and claims filing procedures. Have good written and oral communication skills.